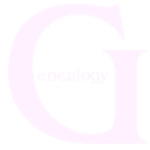 This site will deal mainly with the genealogy of the Pittaway Family, (all spellings and variations) but has many links useful to all genealogists. Use the menu at the bottom to navigate through the pages. The information that is displayed on the genealogy page has been put together by me but has been gleaned from many and varied sources, some by my traveling round the country searching records and taking pictures. But also a lot has come from the records that you will find on the links page. Some from the gedcoms I have found on the web that have been put there by the Pittway's of many countries and with many hours of research. Whilst I have done a lot of research into the Pittaway families so have all of you and I thank you. My studying the Pittway's came about by a friend showing me a small part of a Pittaway family tree that she had tried to put together, I offered to try and help, and here I am! These Pages are intended for use by individual researchers, and members of the Pittaway family. If used by commercial or business persons for gain or profit, please post any other information you find, to me on the link provided, so I may make the information available to all the Pittaway's. Please show where the info came from in your publications, and please print a thank you to the families themselves for making their research available.